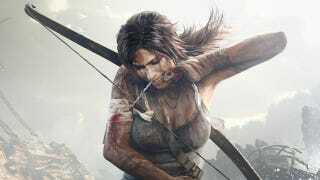 Hopefully you are not on the edge of your seat waiting for the next Tomb Raider. Warning: even if you are an Olympic athlete, you should consider inhaling and exhaling a few times between now and the release of Mass Effect 3. Never mind their 2011 hype. They're next year's games. As we've done before, we need to settle things down from all of the recent E3 hype and point out which games from the year's big show aren't coming out this year. Note: These are North American release dates. At least we get Battlefield 3 and Modern Warfare 3 this year! And a new Madden, right?